Mumbai, a city known to never sleep, a city with a spirit of gold and a determination to never say die. It was around 8:30am on a Friday morning when my plans to visit Mangalore was confirmed. While the rest of the city was buzzing with activity, me on the other hand reluctantly decided to is it Mangalore upon my friend’s request. 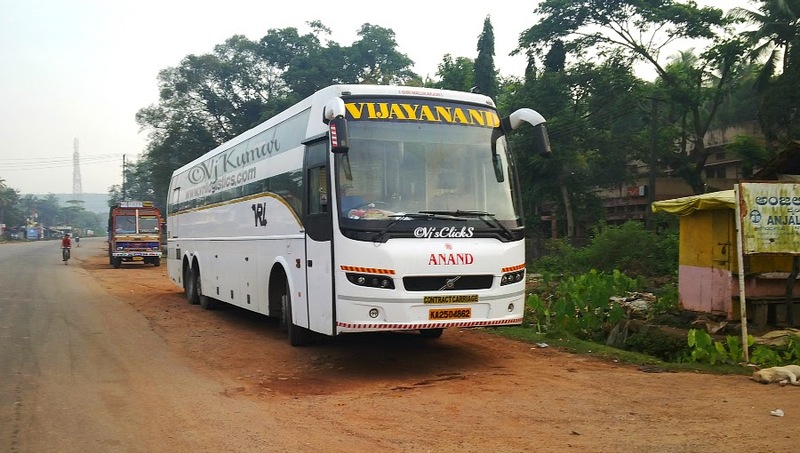 Mumbai and Mangalore are very well connected with private operators running multiple schedules with buses of all types. Selecting a service is a difficult ordeal as most of these operators are well known for their service. 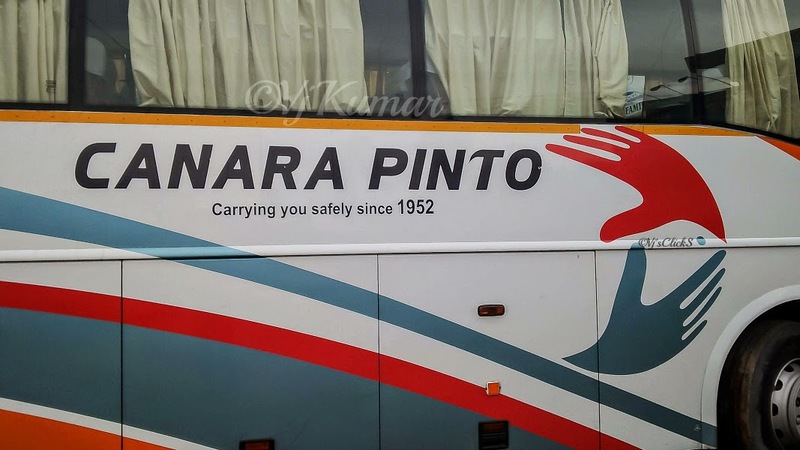 Finally after an hour I made up mind, it was indeed Canara Pinto. Yes, it was the day that I was eagerly looking for. After enjoying a scrumptious lunch, my friend dropped me to Borivali. It was 14:50hrs and I had a good 25minutes for the bus to show up. Many buses bound to Pune and Bangalore came by picking up passengers for their respective destination. In the distance, I spotted Scania with the crew whom I knew very well. I decided to have a quick chat with them and while I was speaking with them exactly at 15:10hrs, my bus showed up. Time has come to fall in love with Volvo again. The bus pulled over near Gokul hotel and the pickup man started to call out for Mangalore bound passengers. I bid adieu to the Scania crew and headed over to my bus. The pickup man checked me in and exactly at 15:15hrs, we were on the move. The bus was very well maintained. Clean curtain and seat covers welcomed passengers. I made my way to the rear of the bus and settled down as the bus headed towards National Park, Borivali. The engine noise was minimal but still musical. The bus was running full with almost 90% of passengers boarding in Mumbai while the rest in Pune. Traffic was minimal as the bus powered ahead towards its pickup points. We quickly crossed Andheri and headed towards Chembur. Most of the passengers were boarding the bus from this point. After a 15minutes stop and with all passengers on board we headed towards Vashi. We pulled over a quick break before Vashi toll naka. The break was brief and finally it was time to head towards home. The bus was easily notching up speeds upto 80-85kmph and very rarely crossed 95kmph. The engine noise was smooth and the transmission was perfect. Leg space inside the bus was not an issue and with the a/c set at the right temperature, I was all set to enjoy a comfortable ride to Mangalore. 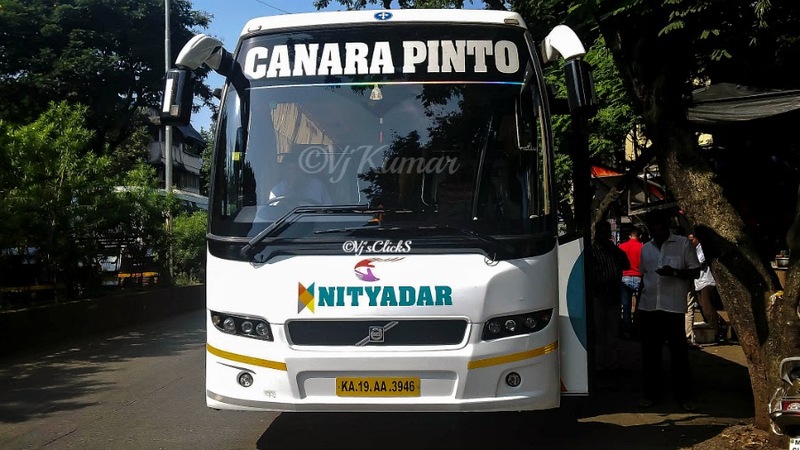 I had heard a lot of comments about the build quality of Volvo and noticed for any rattling noise inside the bus. To my surprise I could not hear anything even when the bus went on the rough patches. We were cruising on the expressway and as we headed towards Pune the sun began to set in the distant background. We were welcomed by a traffic jam in Pune. This has always been the scene and with few cops to manage traffic, it becomes increasingly difficult maintain the traffic flow during rush hours. Thanks to senseless motorists who were cutting lanes at their mercy, traffic had piled up for almost a mile. We moved a snail’s pace to pick up passengers at Chandni Chowk. After battling traffic, we were back on the highway heading for the final break for the day. At around 8:45pm, we pulled over at Hotel Natraj. A lone standing B9R of VRL heading towards Mumbai welcomed us in. 10minutes into our break and the VRL departed only to be joined by another VRL. After 30minutes, the dinner break was finally over and it was time to head back on the highway. We resumed over journey and again the bus maintained a constant speed. Anand’s new sleeper bound for Bangalore overtook us and raced ahead while we were cruising near Karad. I finally decided to get some rest and closed my eyes to call it a day. I vaguely remember stopping for RTO checkups at around 12:30am and again at the Hubli Bypass Toll at around 2:30am. It was around 7am when the devotional songs on the speakers woke me up. We were near Shiroor. We reached Baindur in no time and pulled over for the last break for the journey. Mangalore bound VRL sleeper was already resting at this place. Within few minutes we were joined by SRS B9R and the place was filled. We were the first ones to depart and no sooner we rejoined the Highway, I was waiting for the most beautiful spot of NH-17, Marvanthe Beach. We passed through this stretch and Mother Nature surely did not disappoint us and displayed her true beauty. We started to cover ground quickly, thanks to the four lane work which has shown some progress. We reached Kundapur in no time and after dropping few passengers, we headed towards Udupi and dropped most of the passengers here. Since the bus was not takes the bypass road, I was instructed by my friend to get down at Padukodi Bypass. 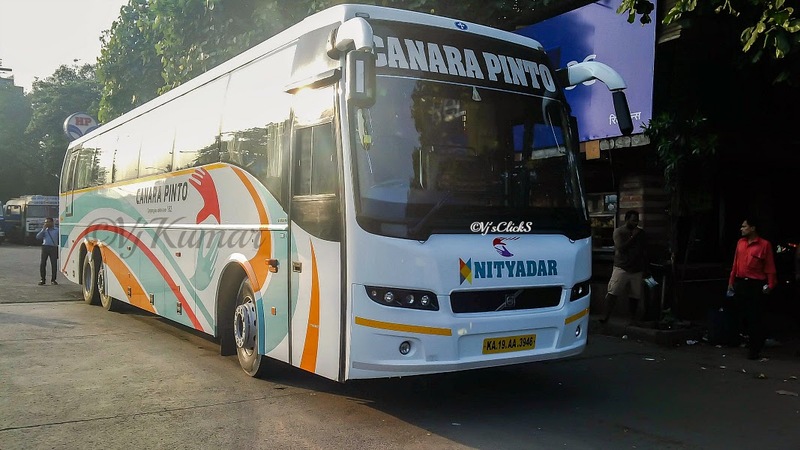 We reached my drop off point in no time as traffic was very minimal and at 9:30am, my journey with Canara Pinto B9R was over. @Schumi0101 superb reviews by you of CPT B9R, I also read your earlier CPT journey review...surely one of best operators and most preferred one too. In this review you have mentioned "Kudla Leppundu" what does that mean ? Hello..Nice blog post. 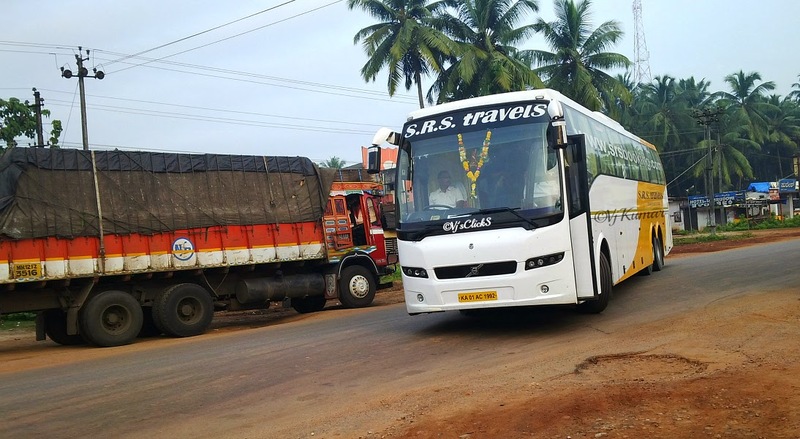 Thanks for sharing useful information on how to reach Mangalore from Mumbai. As the city witness large number of tourists footfall every year, there are plenty of hotels in Mangalore within various price ranges. 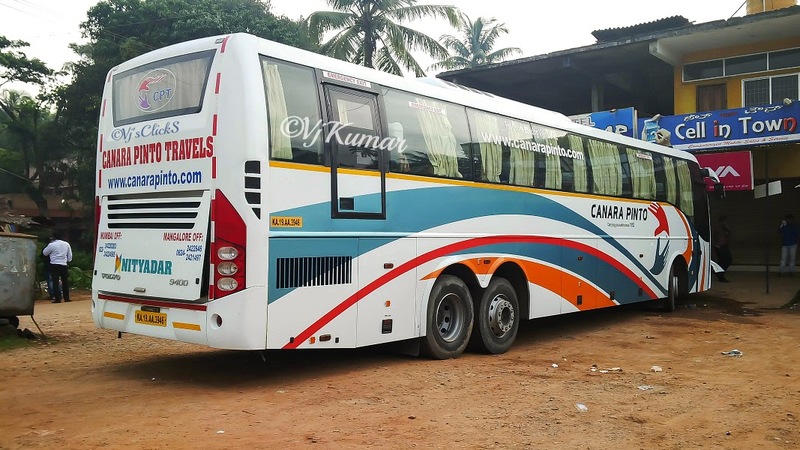 @Anonymous...you re right manglalore bound buses pass satara and reach mangalore by 0630 in the morning, the service above mentioned is the second service of CPT departing from bombay at 0230 pm. 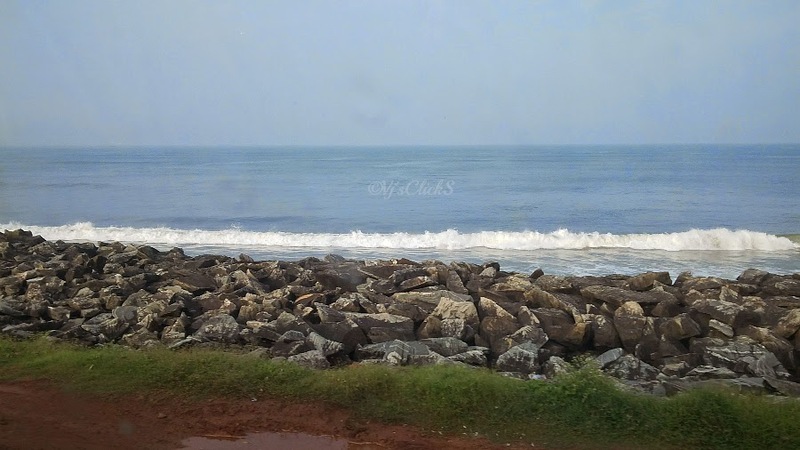 Nice blog post,Thanks for sharing useful information on how to reach Mangalore from Mumbai.